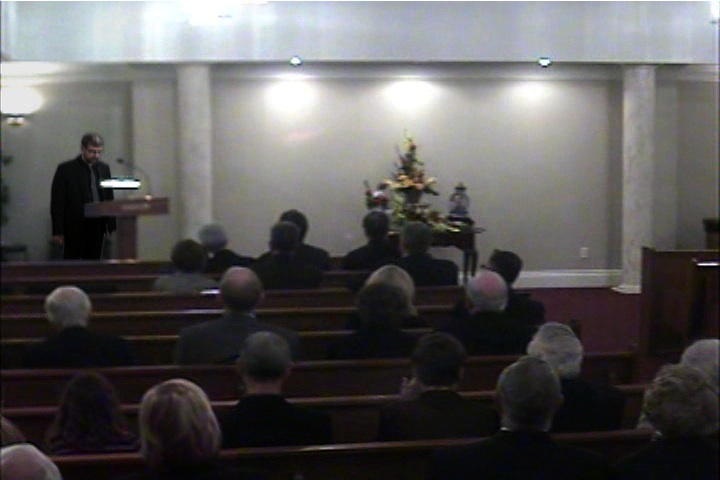 This video uses footage given to MacDonald by the funeral director at his father's memorial service. By using a crude chroma key compositing, the artist inserts himself into the video behind the podium, posthumously delivering the eulogy for his father; a process the artist was not prepared to do at the time of his father’s passing. The family was unaware the funeral home videotaped the service. Initially, it was a tape no one was willing to view. Belated Eulogy for My Father plays as a type of fantasy for the artist, who rewrites the past by inserting himself into a personal history he was compelled to rewrite.